Self-acceptance is a form of Self-love and probably one of the most challenging things for many women – especially when it comes to their bodies. 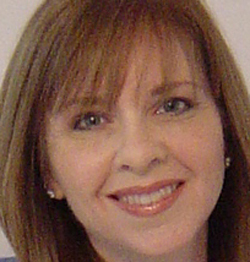 As I was out in the Twitterverse tweeting about the Self Love Fest, I ran across Michelle Hess of Brave Girl Coaching. 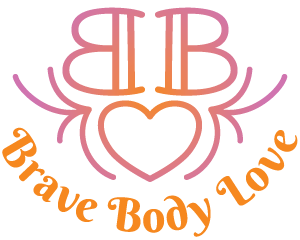 She was promoting her event, The Brave Body Love Summit – Bringing Women from All Over the Globe Together in an Epic Online Event to End Body Image Issues and Awaken Our Collective Female Power! Wow, talk about self-acceptance! And, more! Even though the summit began on Valentine’s Day and there are only a few days left, there are still many more amazing speakers AND the interviews from all 35 speakers are recorded, so you can catch up on what you missed! To sign up for the Summit and get in touch via the private Facebook group that Michelle has set up, go to Brave Body Love Summit. It’s an amazing and free opportunity to expand your horizons and increase your body love and life satisfaction. So, I immediately signed up and asked Michelle if she’d be my guest on the blog this week. She graciously agreed and here’s what she had to say. Me: Michelle, tell us your story and what led you to this work. Michelle: Body Love is a holistic process. It involves our bodies, minds and spirits. For me, the journey has probably been pretty typical of a southern California girl. And, also, parts are atypical. I was conventionally considered “cute” growing up. In my family, the emphasis was on our athleticism and our brains, so my confidence was strong on one deep level and I was riddled with anxiety on another, because I felt that my worth was tied to my performance. Accepting and loving my body has been a very long process that cannot be separated from my concept of self-worth, my intrinsic value and desire to be loved. Over the last five years, I’ve worked a lot on these areas and I worked with a wonderful coach to become what I consider a normal eater, because growing up in our culture, disordered eating is considered normal (yo-yo dieting, starving oneself, over-eating). Figuring out how I felt about eating in my American West Coast culture was really important, because the sickness is very subtly ingrained on all levels. I wanted to figure out how to honor my body as it was, not at what I thought it should be. I had a lot of expectations related to physical fitness ingrained in me. Like most people in society, I bought into the lie that you have to be thin to be physically fit. Yet, here I was over 200 pounds running over eight miles on beach trails. Fat being unhealthy did not fit with my experience, but everyone said it was, so I believed it, too. That started my journey into fat studies and what I found out was fascinating. The national propaganda on this issue, with the so-called obesity epidemic is astoundingly thorough and ridiculous. Me: How did you come up with the idea for the Brave Body Love Summit? Michelle: You know, I’m one of those visionary people that gets an idea and then follows it out of curiosity. Three of my core values and purposes in my BraveGirl™ Coaching business are Confidence, Courage and Connection. So I followed my intellectual curiosity connections and one thing led to another. 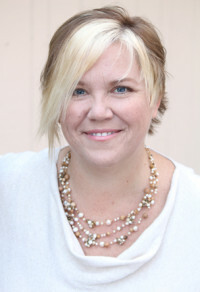 One of the main reasons for moving forward with the Brave Body Love Summit was my life-long work with girls and their self-esteem, first as an educational therapist, college instructor, school counselor and coach made the idea of getting experts together to talk about navigating this world in our female bodies seem like a good idea! I also have a great love of connecting women. It wasn’t always this way. I used to align myself with the males to not be seen as weak or foolish—my best friends were always guys and I identified with my father more than my mother when a youth. I realized during my college years that this needed to change. It is vital for women to stop the petty competition and really support each other. The speakers are so diverse and live in different political and social camps. Most people wouldn’t mix otherwise and it’s so important to break down the barriers of understanding. Another huge element was that I started studying this thing called “fat studies” three years ago, which I didn’t even know existed and that really opened my eyes. It took about a year for me to even digest the radical ideas in that area. The fundamentals meshed with my basic values in that all humans are worthy of being treated with dignity and respect, but it rocked my world in relation to concepts of beauty and all that. One of the later factors chronologically, but first, value-wise, is the fact that I have a daughter, who is now nine years old. I did not want her to go through what I did with my body – all the abuse of diets and thinking I was fat and ugly when I was beautiful and perfect. Me: What can women expect to experience and learn during the Brave Body Love Summit? …Then, expect inspiration, information, laughter, tears, and hopefully motivation for action! There will be some radical perspectives, new information on health and fitness, true beauty strategies, and inspiration from the trenches of professional life in male-dominated fields. This summit is a dream for me because it meshes theory and practice with a huge dose of inspiration. Most of my peers are either athletes, artists or creative nerdy intellectuals, so I selfishly designed it around us! And since we want to expand our horizons, I invited many others who are “unlike” us, especially in relation to the dominant white female feminist movement. Women will have the opportunity to discover how to free their bodies and selves from the burdens of judgment, stress, and self-criticism and begin living a life full of love, hope and freedom. I want to thank Michelle for making the time in her busy schedule to visit with us! I hope you’ll go sign up for the Brave Body Summit. And, I hope you’ve been following my month-long Self Love Fest (#SelfLoveFest) on Facebook and Twitter! We’ve had some great responses to the daily prompts and wonderful blog posts from Karen Downing, Sharon Roemmel, Tam Veilleux and Shaheen Miro, my partners in this project. I invite you to learn more about these amazing folks and participate for the rest of the month! Previous post: It’s February. Love YOURSELF! Next post: Happy NOW Year!